There are several skin ailments and cures that can successfully be treated at home, while others may need professional treatment prescribed by a physician after a proper diagnosis. Here's a look at some of the most common skin ailments and cures that can be treated with over-the-counter care. 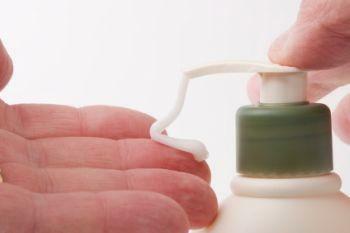 Whether it is dry skin or insect bites, treating topical skin irritations at home can be effective with the right remedies. These conditions, as long as they are temporary rather than chronic, can normally be cured without visiting a doctor. Insect bites take the cake when it comes to being itchy and irritating. Bee stings, wasp stings and mosquitoes are very common nuisances come summertime, when flying insects are at their population peak. While prevention is always the best remedy, after a bite occurs, there are several ways to treat insect bites and stings. For dry feet, exfoliate and file heels with a pumice stone after bathing. After filing, lock in moisture by donning a pair of cotton socks over a heavy application of cream. Chronic dry skin sufferers, such as those who have been diagnosed with eczema or psoriasis, may need a prescription strength medication to combat severe dryness and itchiness. Although most common skin ailments can be treated at home, there are some conditions that should always be properly diagnosed and treated professionally prior to at-home care. Warts, suspicious moles, and infections that cause either redness or discharge, should be treated with proper medical care.